Michael D. Dukes is a Professor and Irrigation Specialist at the University of Florida in the Agricultural and Biological Engineering Department. He is currently Director, Center for Landscape Conservation & Ecology as well as a UF Water Institute Faculty Fellow. Michael obtained a B.A.S. in Agricultural Engineering and an M.C.E. in Civil and Environmental Engineering from the University of Delaware. He obtained a Ph.D. in Biological and Agricultural Engineering from North Carolina State University. He joined the University of Florida in Gainesville in 2001. His interests are in the area of irrigation and water management, particularly in the area of efficient irrigation design and management, water conservation, and minimizing negative impacts of irrigated systems. Research activities include residential irrigation efficiency, and evaluation of “smart” irrigation control systems such as soil moisture sensor controllers or evapotranspiration based controllers. Extension efforts concentrate on implementation of irrigation control technologies to reduce over-irrigation and loss of nutrients. He is a Fellow of American Society of Agricultural and Biological Engineers (ASABE) and active in several committees and standards activities. He received the 2011 ASABE Young Extension Worker Award and the 2016 John Deere Gold Medal Award. He is Past-Chair of the Irrigation and Drainage Council of the American Society of Civil Engineers, Environmental Water Resources Institute. He has also been active in the Irrigation Association and received the Excellence in Education Award in 2014. He is a licensed professional engineer in Florida and a residential Certified Irrigation Designer. Bio: Michael D. Dukes is a Professor and Irrigation Specialist at the University of Florida in the Agricultural and Biological Engineering Department. He is currently Director, Center for Landscape Conservation & Ecology as well as a UF Water Institute Faculty Fellow. Michael obtained a B.A.S. in Agricultural Engineering and an M.C.E. in Civil and Environmental Engineering from the University of Delaware. He obtained a Ph.D. in Biological and Agricultural Engineering from North Carolina State University. He joined the University of Florida in Gainesville in 2001. His interests are in the area of irrigation and water management, particularly in the area of efficient irrigation design and management, water conservation, and minimizing negative impacts of irrigated systems. Research activities include residential irrigation efficiency, and evaluation of “smart” irrigation control systems such as soil moisture sensor controllers or evapotranspiration based controllers. Extension efforts concentrate on implementation of irrigation control technologies to reduce over-irrigation and loss of nutrients. He is a Fellow of American Society of Agricultural and Biological Engineers (ASABE) and active in several committees and standards activities. He received the 2011 ASABE Young Extension Worker Award and the 2016 John Deere Gold Medal Award. He is Past-Chair of the Irrigation and Drainage Council of the American Society of Civil Engineers, Environmental Water Resources Institute. He has also been active in the Irrigation Association and received the Excellence in Education Award in 2014. 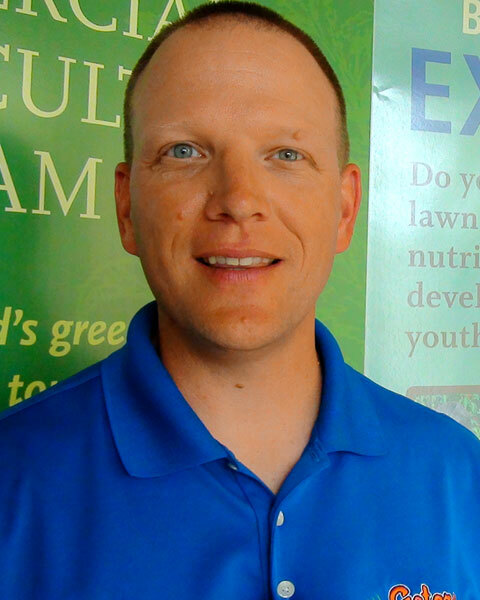 He is a licensed professional engineer in Florida and a residential Certified Irrigation Designer.